Take a walk on the wild side with our wide variety of tour and programs provided by the Cincinnati Zoo! Your garden club or other group can enjoy a nice quiet breakfast or lunch, followed by a tour with one of the Zoo’s horticulturists. Group tours are available weekdays at 9:30am, 1:00pm and 6:00pm at only $15 per person. This great deal includes admission and parking. A donation of $75.00 to our horticulture department is required for all private tours in order to help our beautiful garden flourish. When you decide to join us, remember that tour dates must be approved and scheduled in advance. 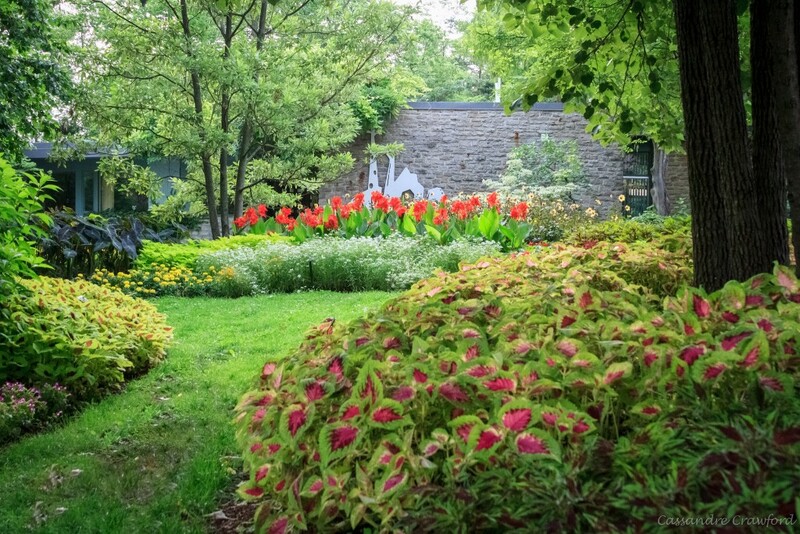 As one of only two accredited Botanical Gardens in Ohio, we depend on the support of donors to maintain our beautiful landscapes. Donations to the Gardens are always greatly appreciated, and your gift will support the growth of our gardens, botanical education outreach initiatives, “Zoo’s Best” brochure series, and our amazing horticulture team. To schedule a tour for your group or get more information call 513-487-3481. Add a soup and a salad for $5.25 more per person. Need something simpler for your group? Offer Zoo Wild Cards to your guests! Wild Cards can be used at any retail or concession location. Minimum is $10 per Wild Card.